What a great recipe for the holiday season. I can bet you will make a variety of mashed potatoes throughout the year using this as a base. I have often put sour cream in my mashed potatoes to make them more creamy and special. The use of fresh herbs would make this a double special recipe. You can use all three of the herbs mentioned or just one at a time to vary the potatoes just a little bit. How about trying with the mixed Italian seasonings. Use just a small amount because the dried mixture is twice as strong as the fresh. Parsley is the one herb that is always used as a garnish at our house. 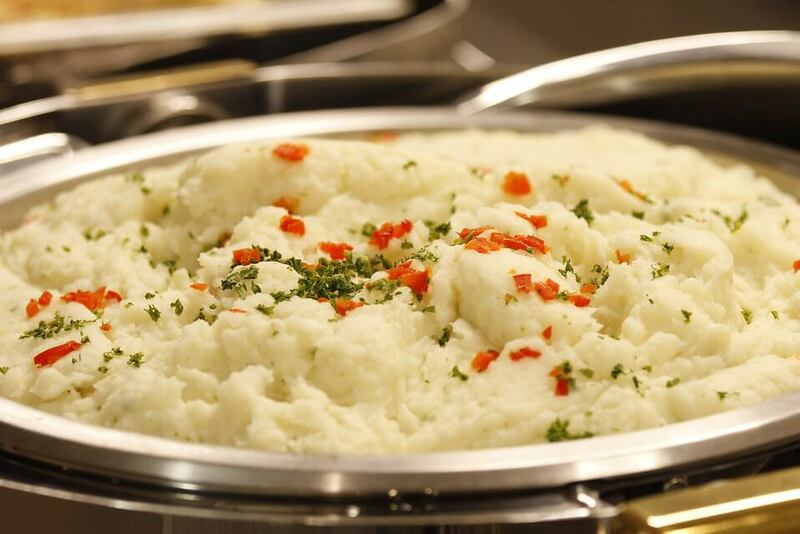 The fresh ingredients are added to freshly cooked mashed potatoes, the ingredients are simple and easy to find. You can add salt and pepper to taste to complete the dish, it feeds about six people.